Kalfa resigned to protest appointment of inexperienced secular soccer player Ohana, who resigned - but now Bennett won't let him return. MK Zevulun Kalfa resigned in protest on Tuesday after secular former soccer player Eli Ohana was given the eighth spot in the Jewish Home list, sparking anger throughout the party - Ohana has since bowed out, but now Jewish Home head Naftali Bennett, who appointed Ohana, won't take Kalfa back. 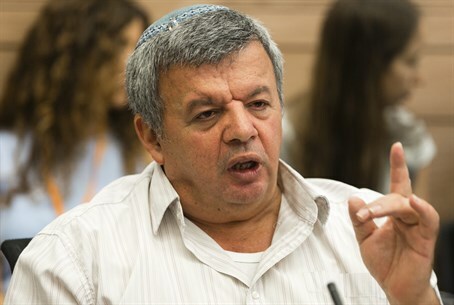 In the 18th spot on the list that Kalfa previously had will instead be placed Nahi Eyal, who has served as director of Uri Ariel's Tekuma faction for many years. After Kalfa announced he would return following Ohana's resignation, Bennett demanded that Kalfa apologize for calling the decision to appoint Ohana "cynical, cold, cruel...not far from wickedness," but Kalfa refused at which Bennett refused to let him back on the list. Kalfa was far from the only one who leveled harsh criticism on the decision, given that Ohana is a secular figure who made his career by working on Shabbat, had no political experience and previously supported the Disengagement before saying he made a change of path. His appointment likewise pushed down experienced religious Zionist politicians. At a Jewish Home emergency meeting on Tuesday night the appointment was slammed by religious and secular MKs alike, and it was revealed that Rabbi Eli Sadan, a senior religious Zionist rabbi, threatened to pull his support for the party turning into a "Likud B" - a threat he pulled after Ohana stepped down. Announcing his intended return on Thursday morning, Kalfa told Arutz Sheva he cancelled his letter of resignation "due to a phone call I got from Uri Ariel who updated me on the developments and asked me to return to the list." "I told Ariel that the whole process I did was to deter this matter, and because it was fixed I see integrating back into the list as an honor and an obligation, and I will make sure to work so that this list will be large, meaningful and full of quality, and I will work for the people of Israel," he had said.